The year is 2075. Humanity has been reduced to five percent of its population after a war with the machines. Only the strongest, most badass and edgiest of people have survived the slaughter. 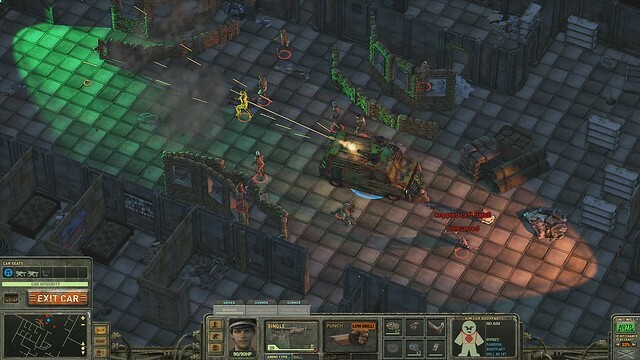 Dustwind, developed by aptly named Dustwind Studios, is not a game for the light-hearted or relaxed gamer. 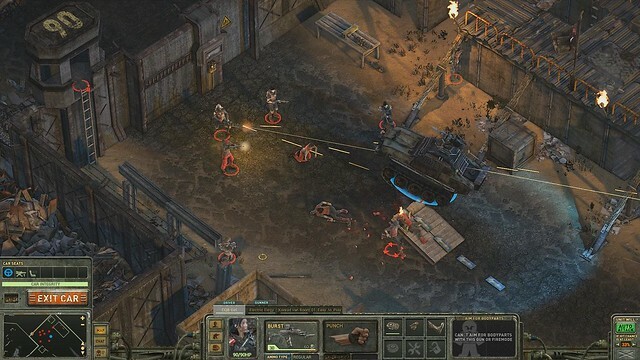 Harkening back to the days of the original two Fallout games, Dustwind combines the often-serious post-apocalyptic genre with the kind of attitude seen in games like Bulletstorm and Borderlands. 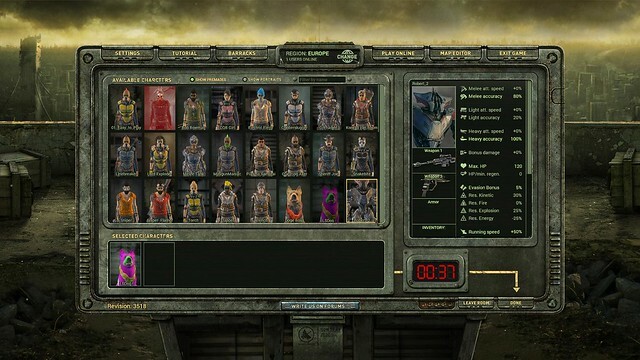 This game, an online tactical shooter, focuses heavily on customisation, letting you play any way you want, and offers you a multitude of ways to turn your foes into mushy red paste. I should warn you – this game isn’t afraid to be just that little bit edgy. So, are you ready to get rekt? 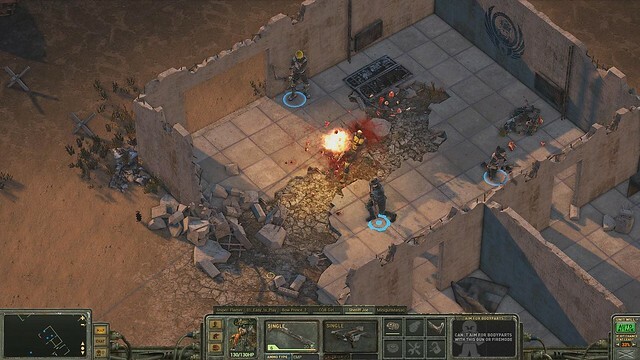 Whilst this game is a top-down, isometric-style, post-apocalyptic shooter along the lines of Fallout and Fallout 2, the game offers an unparalleled level of flexibility in character customisation. The player is given four races to choose from: Humans, the most versatile race and able to use all equipment, Valkyries, a melee unit that will tear you to shreds if it gets too close, Bipedal robots with enough firepower to level buildings, and dogs. You read that right; if you ever wanted to experience the end of the world as man’s best friend, you can do so. The weapons, armour and the tools at your disposal are endless and every combat style can be effective in-game. However, apart from this, the similarities to Fallout ended quite quickly as this game is unexpected both in gameplay and tone. 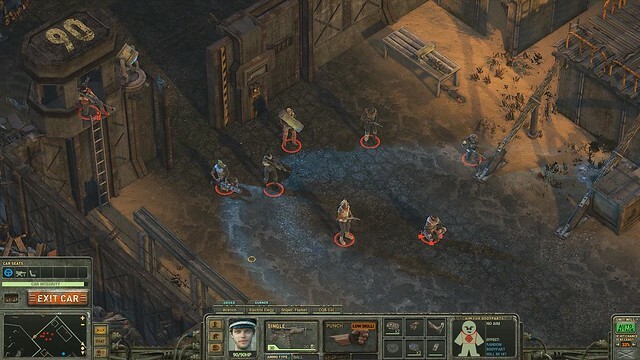 Dustwind revels in the over-the-top and borderline ridiculous, with quad-barrelled rocket launchers, dogs shooting miniguns from inside a tank, and enemies turning to red giblets and fine mist when you land a kill. Dustwind is one of the most satisfying games I’ve played in a long time, so long as you focus on what’s going on. Playing this game is simple; mastering this game is incredibly difficult. Rather than being turn-based, this game offers an RTS or MOBA-esque element to game play. Your character will normally stand and shoot at the nearest enemy. However, your actions can decide how you interact with the world. If you do precisely nothing, you’ll just keep auto-attacking. Do you want to run past enemies to gain a better vantage point, engage them in melee combat, throw grenades over walls from a safe distance, heal or buff your teammates, or kick a teammate in the unmentionables because they’re stealing your kills? Do you want to sacrifice accuracy to aim for a specific limb, much like in the Fallout series, to inflict status effects on your foes? How you play is up to you. Dustwind may initially seem relaxed, but even when you’re not clicking anything, you’re actively participating in gameplay. I should warn you, friendly fire is a thing, and you can kill your teammates if you’re not careful. Speaking from experience, I’ve been blown up by too many allies who quite like the grenade key. You’ll need to master which buttons perform which actions because that will mean the difference between dismantling a mine and just bashing it with your melee weapon, turning you into paste in the process. There are a multitude of game modes, both cooperative and competitive. Cooperative game modes include tower-defence mechanics, or straight up torch-and-burn missions where you just have to kill every enemy on screen, or competitive, team versus team action. Every player is expected to hold their own, and in this situation, each player becomes a variable. You have no idea whether you’re going to turn the corner to find an enemy player with a plasma sword, or if you’ll walk headlong into a tripmine. You’ve got to keep in close contact with your team, because if just one of you goes down, it’s going to be disastrous. Unless you’re playing free-for-all, in which case, you’re in for absolute mayhem. Dustwind’s visual design has taken heavy inspiration from the likes of Mad Max, Fallout and Rage. Buildings are dilapidated and run-down, most vehicles have guns strapped to them, weapons look like they’ve been customised in your garage, and armour looks like it’s designed to be survivable. However, using an isometric style and their own personal flair gives the game a much more personal feeling. Due to the sheer amount of possible combinations for buildings and their contents, every single area you’re in feels like a unique space to explore. The game hinges on its community, with a detailed, expansive world and level editor provided in-game. You can use this to create your own levels, environments and enemies. 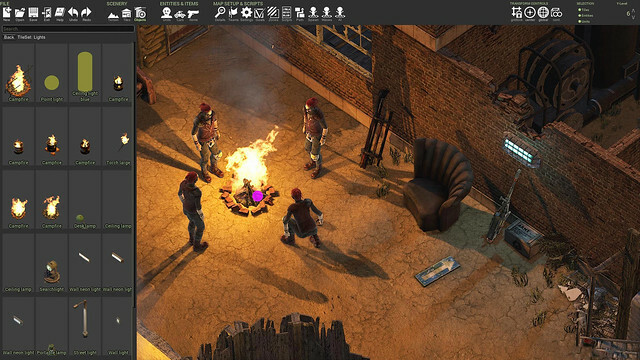 You can choose where enemies spawn, what weapons they carry, how they interact with their environments and so on; basically, turning Dustwind into a “create your own apocalypse game” situation. Whether you want linear combat, open-world stealth or exploration, there will be a level for that. If not, make it yourself! A minimal user interface is located at the bottom of the screen, providing you with all the information you need to survive. This minimal display allows you to focus on the core gameplay, the stunning graphics and ridiculous explosions, and the game provides tutorials for every aspect of itself, from worldbuilding to movement to combat. You’re essentially provided with a tutorial and an online video manual for all content, something I’ve not seen very often in games and a feature that greatly improved my experience. Whilst the sound design isn’t necessarily a standalone feature, the Dustwind soundtrack complements the gameplay well, and each footstep, character noise and gunshot makes an impact. Not one sound feels out of place, or too weak for this game. Even if you’re using a toilet plunger as a melee weapon, which of course you can choose to do, the deafening thud of rubber and wood against… whatever it is you’re hitting, is so very satisfying. Overall, this Indie game is incredibly promising, expanding onto mobile and adding to its already impressive amount of content on a frequent basis. The lack of single-player story-driven gameplay is worth noting, especially in a game that does have a backstory, its own unique players, factions, and the beginnings of what feel like a narrative, but the multiplayer elements of Dustwind are incredibly strong. It’s a fresh, if somewhat edgy and self-aware, take on tactical shooter gameplay and I can’t get enough of it. Full customisability! Play how you want to play! Confusing gameplay to start with, takes some getting used to. Requires a great amount of care and thought to advance through the ranks. Currently no single-player campaign or narrative element. It can be that little bit edgy – not that this is always a bad thing! Previous ArticleDustwindNext ArticleAll-Star Fruit Racing Online Support out now for Nintendo Switch! REAL-TIME TACTICS - PvP, COOP-PvE, SOLO. Join the CLUSTERFUN! Make quick tactical decisions, sneak, aim for bodyparts, use traps, turrets, cars. Play as a dog. Create characters with varied skills and gear. Play various PvP modes. Play PvE alone or with friends. Map editor included.